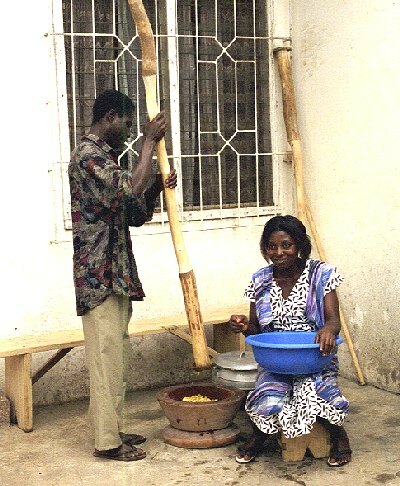 Pounding fufu a main food item. It is made by peeling and boiling the casaba root until tender then pounding and turning until the fibers are broken down. Plantain is mixed in to give it flavor. It is served as a dumpling in a chicken broth.